I didn’t even need to read the description of this one to know I wanted it. 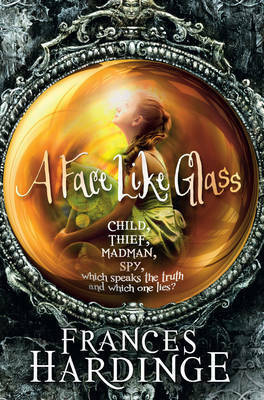 I’ve only read A Face Like Glass and Cuckoo Song, and I know that I’m willing to try anything Frances Hardinge writes. I love that she focuses on young female characters who are beginning to come into their own. 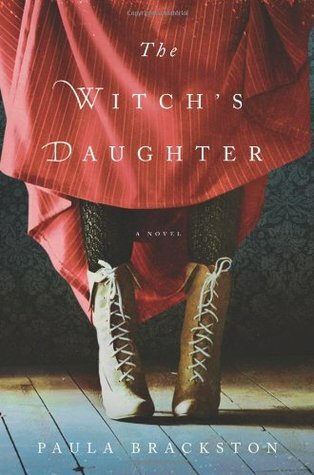 In this book, Faith moves from a quiet girl who think she’s wrong for not fitting the mould to a girl who acts for herself with courage, who isn’t afraid to claim a new place for herself. I love all the natural history stuff here in the background, Faith’s involvement in her father’s work and fascination with it, the way she genuinely has a scientific interest of her own beyond her devotion to her father. I didn’t love the plot as much as I have Hardinge’s other books; it has some of those simple but brilliant ideas (like the expressions in A Face Like Glass) which drive the plot, but then there’s the murder mystery, and that aspect I found… well, less magical. Which is not surprising, but I can’t help it: I like magic. 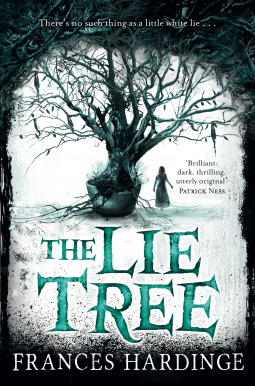 I do like the way the plot resolves, though, and the fact that there are still mysteries that Faith will never solve about the Lie Tree — like how quickly it grew, fed on her lies; the maliciousness that seems to hang around it. I like that complication: the thing that Faith is using to investigate what happened, a good motive, may not be good in itself — may even be something dark and evil. I like the slow understanding of Myrtle’s character, too. It’s easy to write a woman who has machinations, wants to marry someone rich, etc, etc. It’s harder to see through that to a woman trying to protect her family, trying to hold things together with the powers she has, what power she’s managed to scrounge from a system that doesn’t give her much credit. All in all, though it’s not my favourite, this is very good. Most of the characters are subtle, good and bad and pitiable and pitiless. There are shades of grey just like life. It doesn’t present a fake world where everything is easy, which ranks it amongst the best YA. I’ve behaved myself shockingly well this week — no new books, no comics, and just a couple of library trips. Which is really odd, considering the readathon starts later today and normally I like stocking up… Hoping to pick up Crown of Midnight (Sarah J. Maas) from the library today, but it’s not open yet. 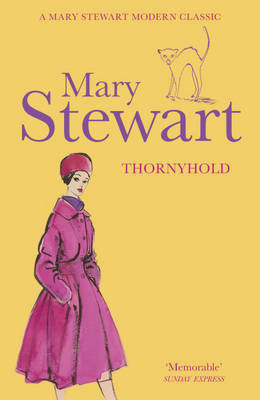 The Mary Stewart books are rereads, which I might revisit during the readathon… although I think Touch Not the Cat is the Stewart book I’ve read least recently, and I’m pretty sure I have a copy around here somewhere. 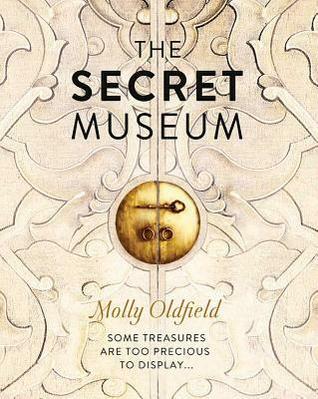 The Secret Museum is one I’ve nearly finished; a fascinating exploration of all kinds of things too precious or difficult to display in traditional museums. Oh, and I do have a review copy to be joyful over. 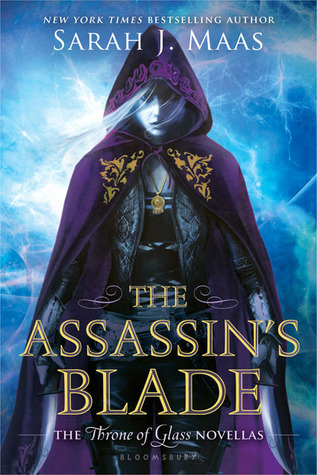 Frances Hardinge’s latest! How’s everyone else been this week? Acquired anything shiny and interesting? This week’s prompt for Top Ten Tuesday is “Top Ten Books You Would Classify As ALL TIME FAVORITE BOOKS from the past 3 years”. Which is a cruel one, I think, because argh, there are so many, and how can I remember when I read them all? But here’s a rough guess. These are, of course, books I’ve read in the last three years, not books published in the last three years, because I say so. The Goblin Emperor, Katherine Addison. C’mon, you called it. Among Others, Jo Walton. This might be a bit out of the range now, but I’ve reread it in the last three years! Cuckoo Song, Frances Hardinge. I might shut up about this, someday. Behind the Shock Machine, Gina Perry. So much research went into this, and it’s a fascinating view on a very famous experiment. The Universe Versus Alex Woods, Gavin Extence. Lots of issues that fascinate me, wrapped up in an emotional book. The Dragon Waiting, John M. Ford. Man, this took so much digging through layers of stuff. I loved it. Hyperbole and a Half: Unfortunate Situations, Flawed Coping Mechanisms, Mayhem, and Other Things That Happened, Allie Brosh. Because <3. The Grand Sophy, Georgette Heyer. Heyer is awesome, okay. The Carpet Makers, Andreas Eschbach. I remember this blowing my mind! This week’s theme from The Broke and the Bookish is “Top Ten Books I Read in 2014”. This one you can probably predict if you follow this blog, but I won’t leave you guessing. Also, links don’t show up on my theme very well, so I’ll just say now that all the titles are links to the reviews I wrote earlier in the year. 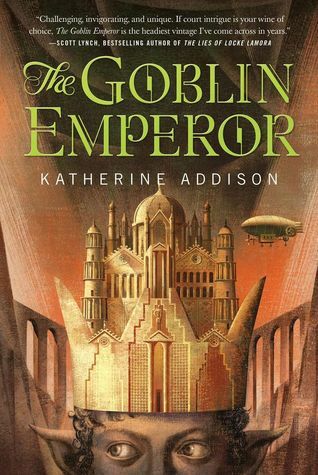 The Goblin Emperor, Katherine Addison. Yep, you probably predicted this one. I just loved it to bits — I’d have happily gone back to page one and started all over again right away. I don’t think it’s for everyone, but it was pretty perfect for me. 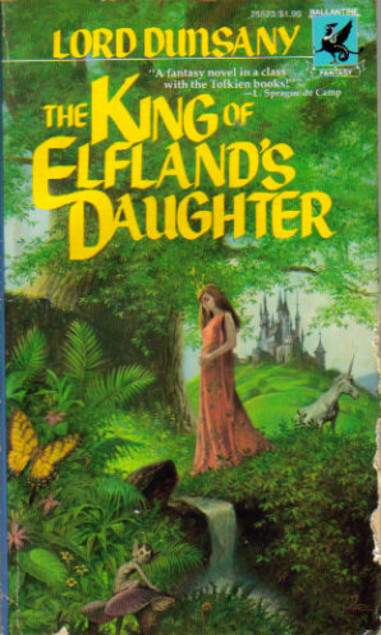 The King of Elf-land’s Daughter, Lord Dunsany. This is definitely not new to a lot of people, but it was new to me. I think I’d read one of Dunsany’s short story collections before, but not this one. It’s a lovely mythic/fairytale-like world. In style and the like, it’s not like the more typical modern fantasy, but that doesn’t put me off at all. 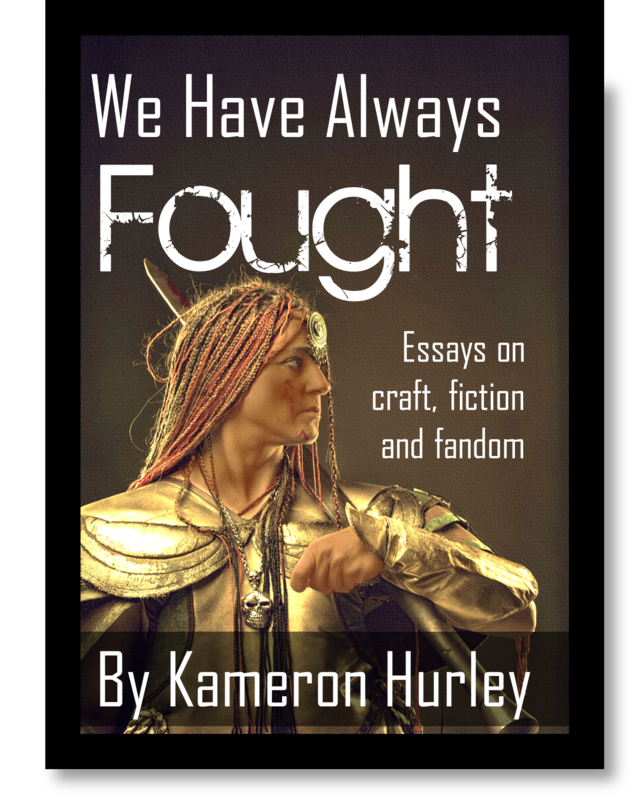 We Have Always Fought, Kameron Hurley. I haven’t read any of Hurley’s fiction yet; she may even be a writer who appeals to me more as a commentator than as a creator, since I did start God’s War at one point and put it down again. But I loved this collection of her essays. She very much deserved her Hugo. My Real Children, Jo Walton. Again, probably predictable. I loved the characters in this — the sheer range of them, the ways small circumstances could change them. It was quite upsetting on a personal level because of the mentions of dementia, but the fact that it had the power to upset me only made me like it more. Cuckoo Song, Frances Hardinge. Read this all in one go on a train journey and resented every interruption. There’s a great atmosphere to this book. Behind the Shock Machine, Gina Perry. 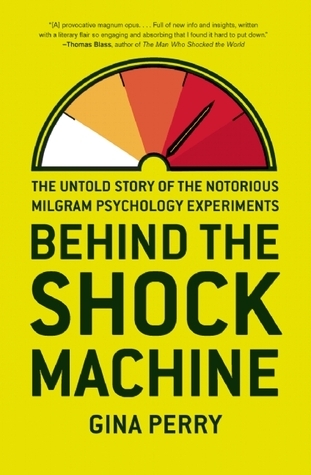 I’ve always been fascinated by Stanley Milgram’s experiments, and this was a great way of delving into them — looking at it not from Milgram’s point of view, not looking at the results, but at the people he used in this experiment. What Makes This Book So Great, Jo Walton. This is kinda cheating, in that it’s a book chock full of the books Jo Walton likes. Not limited to a top ten, of course, but I have a feeling it could furnish the whole contents of this list. Spillover, David Quammen. Fascinating stuff, with some very obvious conclusions that apparently still need to be said. We are destroying habitats, forcing animals closer together and closer to us: we’re creating the perfect situation for a pandemic. It’s going to happen again, as it’s happened before, and we’ve just got to hope it isn’t something exotic and deadly. Even the flu is bad enough when it sweeps the world. The Broken Land, Ian McDonald. This is the only book in this list I didn’t give five stars. But it’s stayed on my mind the whole time, and the issues it examines aren’t temporary ones that’re about to go away. This is gonna be a really interesting week to check out other people’s lists; I’m looking forward to this! Make sure you link me to your list if you comment. I’ll always visit and comment back. 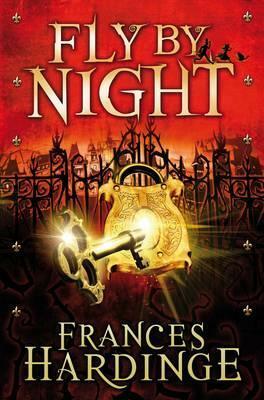 I’d never heard of Frances Hardinge before, and I have no idea how I came across this on the Kindle store, but I’m so very glad I did. 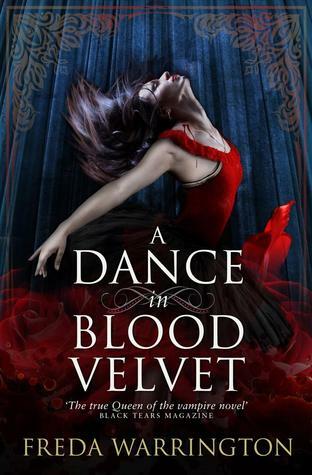 It’s an enchantment of a book — I think I said something similar, recently, about Erin Morgenstern’s The Night Circus, and I can see the similarities there: the long games being played in both plots, the dazzling strangeness of the worldbuilding, the magic of it all. But at the same time, they’re very different stories: it’s just something about the flavour that’s similar. A Face Like Glass is marketed as YA, but I don’t think you should see that as a discouragement. It’s not one of those YA books that slots neatly into the ranks of the YA books that’ve come before: it’s something wild and entirely itself. The same goes for the fact that I’ve tagged it as dystopia — it doesn’t follow the current dystopia tropes either. It felt like a breath of fresh air for me. Basically, it’s a heck of a ride. Best impulse buy of my year, up to and including my big plush Moomin. Possibly excluding only the ticket I bought to the screening of Avengers Assemble that got me hooked. Hooray, another Top Ten Tuesday post, run by The Broke and the Bookish. This week’s topic is Top Ten Books I’ve Read So Far This Year. Luckily, I have no lack of awesome books that I’ve been reading. I’ll link to my reviews on this blog. These are not in order of awesomeness, I couldn’t manage that! I’m not including rereads, or Jo Walton would swamp everything. 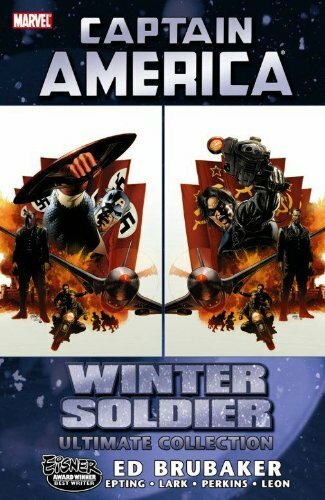 Captain America: The Winter Soldier, by Ed Brubaker et al. I just. All the feels. 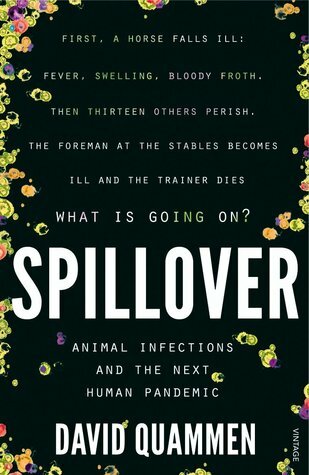 Spillover, by David Quammen. This one was fascinating. Lots and lots of stuff about not just the way animal diseases spill over into humans, but on the way humans interact with the environment, how we come into contact with these kinds of diseases. 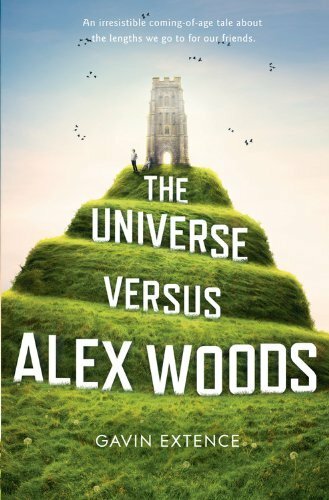 The Universe Versus Alex Woods, by Gavin Extence. I loved this, and really didn’t expect to. The quirky friendship, the bonding over books, and the things Alex ends up doing for that friendship. It’s beautiful and I’m pretty sure I cried. It deals with a topic that’s really important to me, too — as it happens, my tithe this month went to Dignity in Dying, campaigning for the right to voluntary euthanasia in this country. 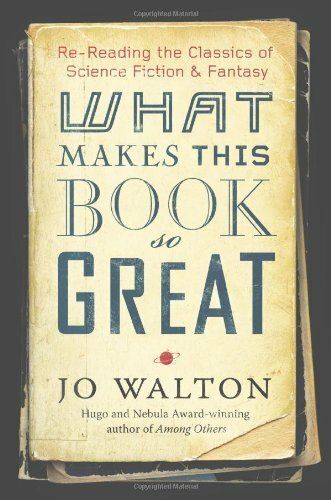 What Makes This Book So Great, by Jo Walton. I love this as a resource for more books to read, and as a way to read insightful discussions about books and get a different perspective on them. Also, it’s just a really good read. 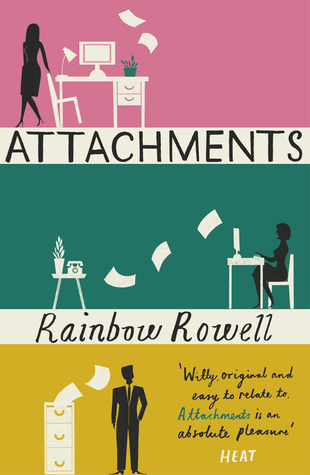 Attachments, by Rainbow Rowell. I think this one may have surprised people who know me, but somehow I just adored it. Good building of characters, and I like the way the love story comes about. 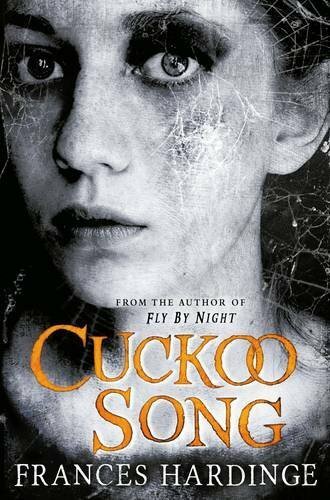 Cuckoo Song, by Frances Hardinge. Got this as an ARC, had it finished before the end of the day. Just captivating. I love that it’s a changeling story, and the story itself doesn’t work out the way you might expect. 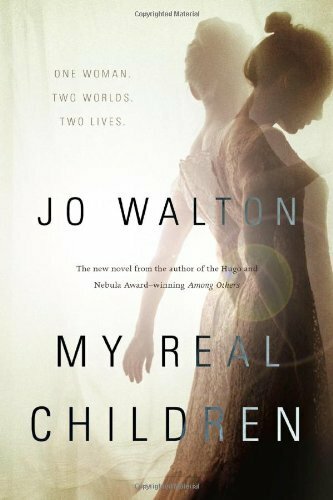 My Real Children, by Jo Walton. Can’t miss this one out. I was uncertain how I felt about the style and structure, and then right at the end Jo pulled everything together and made it work. And despite a certain simplicity about it, I cried — multiple times. Beowulf: A Translation and Commentary, by J.R.R. Tolkien, ed. Christopher Tolkien. I’ve been waiting for this for, literally, years. I always hoped Christopher Tolkien would publish this, and stop holding it back. 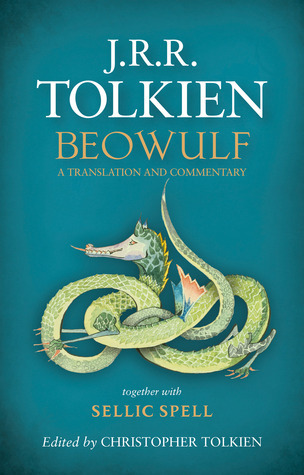 The translation is interesting, but actually what really excited me were Tolkien’s in depth notes on just about every aspect of the poem, including close reading of the actual Anglo-Saxon words. Red Sonja: Queen of Plagues, by Gail Simone et al. 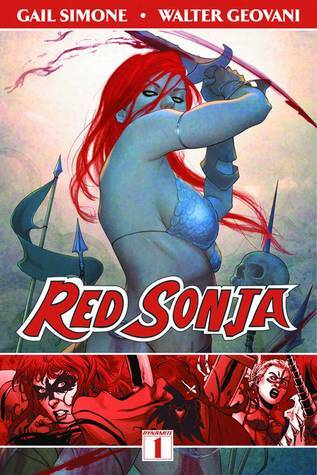 I only really knew of Red Sonja as a sexist symbol whose image caused some trouble in the SF/F community. So I wasn’t sure about trying this out, but I’d heard good things about Gail Simone. And it turns out she created a good story with fun characters, full of powerful women who are not perfect, but who are compelling and are not just fan service. 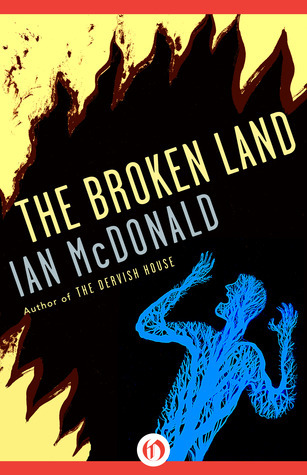 The Broken Land, by Ian McDonald. I wasn’t expecting to love this one so much, but it fascinated me. It creates a world that’s different to pretty much anything else I can think of, and comments on civil wars and the rifts they can create. It’s not light reading, but I thought it was good. Love the idea of this one, hosted here. The idea is to share a couple of the books that have been waiting on your shelves for a while, as opposed to something like Stacking the Shelves, where you share books you’ve just picked up. So here’s three I’ve picked for this week. A breath-taking adventure story, set in reimagined eighteenth-century England. 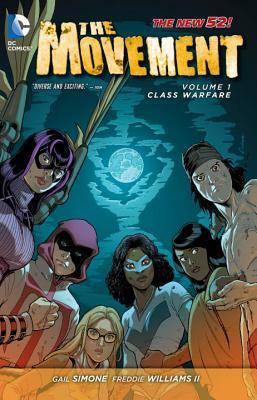 As the realm struggles to maintain an uneasy peace after years of cival war and tyranny, a twelve-year-old orphan and her loyal companion, a grumpy goose, are about to become the unlikely heroes of a radical revolution. I’ve had this on my list for ages, since the first book by Frances Hardinge I read (which was A Face Like Glass, and absolutely excellent). I’ve nearly picked it up so many times since, but I keep wanting to pick the right time so I really get to savour it. r at a Roman outpost in Thrace until, kidnapped by barbarian Visigoths, she finds her destiny to heal and also to be a woman and a wife. I wouldn’t be sure about that “finding her destiny” part, normally, but I tend to trust Gillian Bradshaw — I’ve really enjoyed most of her work that I’ve read so far. She seems to do a lot of work on her settings, although as I think on it, she tends to focus more on male characters. 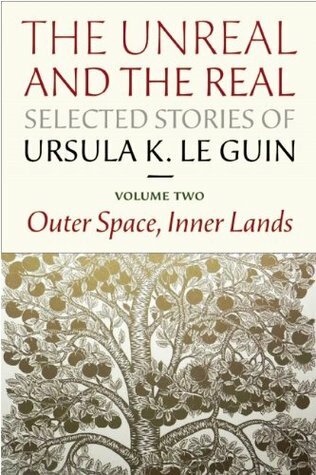 Outer Space, Inner Lands includes many of the best known Ursula K. Le Guin nonrealistic stories (such as “The Ones Who Walk Away from Omelas,” “Semley’s Necklace,” and “She Unnames Them”) which have shaped the way many readers see the world. She gives voice to the voiceless, hope to the outsider, and speaks truth to power—all the time maintaining her independence and sense of humor. Companion volume Where on Earth explores Le Guin’s satirical, risky, political and experimental earthbound stories. Both volumes include new introductions by the author. I’m looking forward to both volumes of this, but particularly to volume two. Ursula Le Guin has been a huge influence on me and this sounds like a pretty definitive collection. I’ve probably read a lot of them before, though not all. If you’ve never read ‘The Ones Who Walk Away from Omelas’, I definitely recommend that one if you’re okay with discomforting ethical dilemmas. I didn’t know Frances Hardinge had a new book out soon, so when I saw someone else talking about it in the Stacking the Shelves meme among book bloggers, I had to try. And lo and behold, I was approved for it on Netgalley. Thanks, guys! So today I had a long train journey — four to five hours. I loaded Cuckoo Song onto my reader before I left, and had it finished before I even reached halfway. 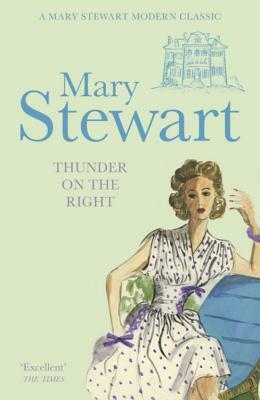 It’s a compulsive read without naked demands for attention; the tension is, for the most part, in uneasiness and anxiety, in a nagging feeling that things aren’t right. It’s done incredibly well, to my mind. Mild spoilers lie ahead! Hardinge has chosen a really interesting perspective here in the changeling-child story. Normally the changeling would be the enemy, or nothing more than a doll. But Trista has a heart and a mind, and she makes everything work out differently — in a way that I think, actually, is better for all involved. Without being wish fulfilment: not everyone came home safe. Really, knowing this is a changeling story doesn’t affect what Hardinge does with the story. The story itself is, in a way, a cuckoo child, a changeling. No matter what the occasion, I try to buy people a book. It means some adaptation, and buying books I don’t normally buy — paranormal romance for my sister, certain types of non-fiction for my dad, violent crime fiction for one of my ex-housemates — but I do like to think about it, to pick out something that just fits. (I have one major failure: my best friend since childhood, Laura. Craft books, yes, but anything you could settle down and read… she doesn’t have the time/patience for it unless she’s on holiday, and then her taste is for chick lit type stuff. Hm, an idea strikes…) Luckily, a lot of people around me share my taste: Amy, my partner, my mum, to a great extent my sister. So yeah, you know I love you when I come home from the charity shop glowing with glee and a stack of books carefully picked out just to suit your taste. My former housemates should be pretty familiar with this situation. Anyway, I thought I’d share a couple of my happily united book couple successes — and then, if you like, you can comment with a book and some facts about someone, and see whether I can think of something. For Dad: You Are Not So Smart, by David McRaney. Because whether he likes it or not, some of it is very relevant to things he believes about himself. Granted, he probably didn’t see it that way, but he did carry the book around with him from Christmas to the New Year. He’s a non-fiction reader, gave up on fiction a long time ago, but his knowledge tends to be widespread and general, so I always try to aim for something like this, rather than something super-technical. For Squirt (my sister): The most memorable occasion was when I handed over her first Alastair Reynolds book, Century Rain. She’s been a fan ever since, and it actually kickstarted her into doing a lot more reading. I think her trust for my taste began at that moment. We actually went to a reading/signing by Alastair Reynolds, and her knees were practically knocking with nerves — my fierce little sister’s knees were knocking! For the girlfriend: Occasionally I try and break her heart with stuff like Civil War: Iron Man, but mostly I’m nice and push books like The Night Circus (Erin Morgenstern) and A Face Like Glass (Frances Hardinge) her way. One of our oldest literary successes was The Dark is Rising (Susan Cooper). There was also Robin McKinley’s Sunshine and Guy Gavriel Kay’s The Fionavar Tapestry, and more recently Jo Walton’s work — you can see we share very similar taste in books. On the other hand, Cherie Priest’s Bloodshot and Hellbent bored her to death, where I love love love loved them, so it’s not all perfect. For Amy (former housemate): The biggest hit was Garth Nix’s work. It’s now become a yearly Christmas tradition: a Garth Nix book or series, every year. He’ll need to write more, soon, or I’m doomed. Given that Amy’s dyslexic, Spellwright by Blake Charlton could’ve gone either way, but she ended up liking it. For Ruth (former housemate): This was a lucky one. She mentioned being interested in the Tudors and particularly Lady Jane Grey. I found Alison Weir’s Innocent Traitor a couple of days later in a charity shop. For Lynn E. O’Connacht: I can’t actually remember anything specific here, but we’ve traded books fairly frequently, starting with her sending me King Arthur’s Death (trans. Brian Stone), which contains the alliterative and stanzaic Morte Arthure poems. Anna Elliott’s Twilight of Avalon is another Lynn sent me. So… yeah. If I love you, expect a book this Christmas (if I can get you anything at all, which is a different matter). Let’s see… mostly comics. The Island of Doctor Moreau, by H.G. Wells, was the last novel — read it for my SF/F class, though I discovered I hadn’t actually read it before anyway. Comics-wise, Avengers: The Children’s Crusade, Avengers vs X-men: VS., and Young Avengers Presents. All Marvel comics. Actively, P.G. Wodehouse’s The Small Bachelor, Molly Beth Griffin’s Silhouette of a Sparrow and Charlotte Perkins Gilman’s Herland; the latter, is once again, for my SF/F class. The plan is to read Captain America: Winter Soldier, I think. Then maybe I’ll get round to the acclaimed Ancillary Justice (Ann Leckie). Last book before I came here was Nicola Griffith’s Hild, I think. Then there was a little shopping spree in Brussels and Leuven: Helen of Troy: Beauty, Myth, Devastation (Ruby Blondell), The Book of Barely Imagined Beings (Caspar Henderson), The Prisoner (Thomas M. Disch), The Song of Troy (Colleen McCullough), In Search of Shakespeare (Michael Wood), The Folding Knife (K.J. Parker) and Alphabet of Thorn (Patricia A. McKillip). Some bought for me by my partner, eee. Also I bought her Fly By Night (Frances Hardinge). There was also a library trip. I have to report that the library in Leuven is pretty good for English-language books. So my haul from there was Mockingbird (Walter Tevis), The Short Novels of John Steinbeck, The Lover’s Dictionary (David Levithan), and White as Snow (Tanith Lee).